Which Greek island is best for families? Home » Blog » Which Greek island is best for families? The Greek islands are made for families, with stunning beaches and a wealth of entertainment there’s something for everyone. If your kids, or you, like waterparks then you are spoilt for choice as there are a number of Greek islands that have water parks. Below is the current list and the island to find them on, you can view each islands page to see more info about the waterpark(s) and where to find them on the island. If you like sandy beaches and warm clear water then you’re in the right place. 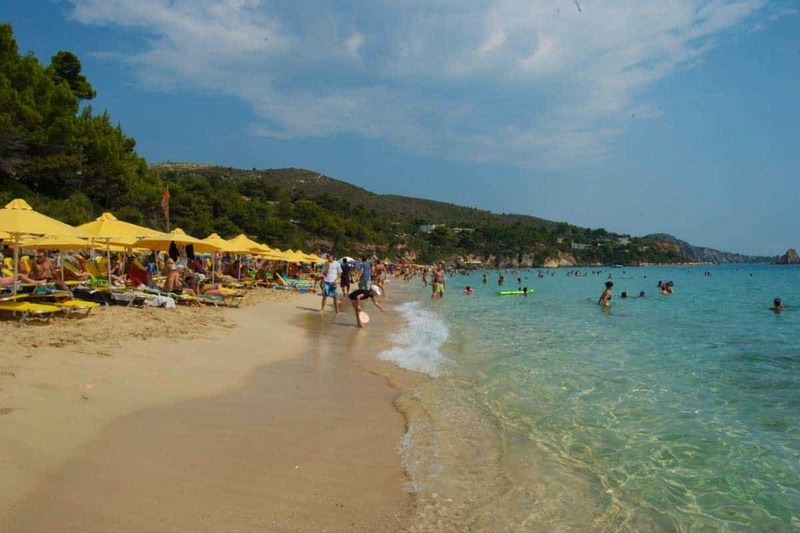 Islands like Skiathos and Thassos offer incredible beaches, they are clean and generally have good facilities like shops and tavernas. Some beaches are better for kids than others as some get deep quickly or have strong currents but check out the individual island guides for what each beach is like and you won’t go far wrong. Most of the larger beaches will have some form of water sport available, from Jetskis and parasailing to pedalos and banana boats you and you’re family are sure to find something to keep you entertained. Most larger hotels will have a swimming pool, some basic and some with slides, diving boards or jacuzzis. Generally the smaller, older or more crowded towns will struggle to offer a decent swimming pool, don’t expect a large pool in the heart of Oia or Fira in Santorini for example. 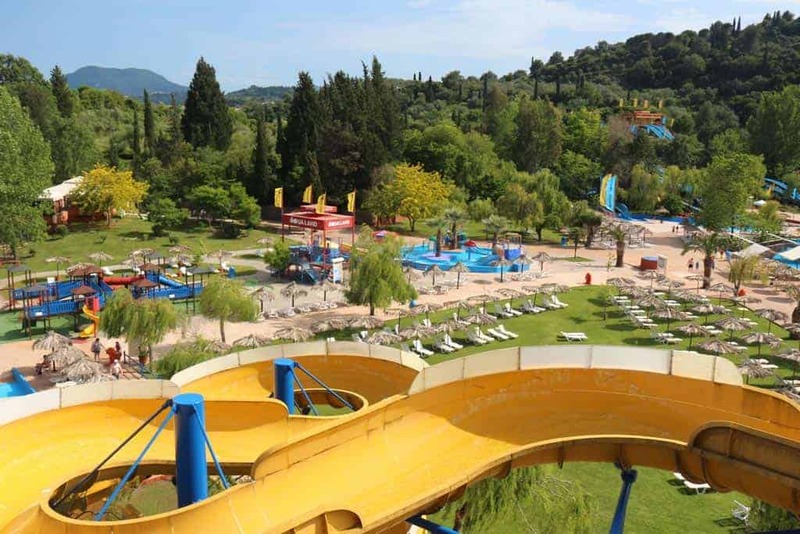 As you get to the outskirts of the towns or into the purpose built hotels then you’ll find some amazing pools that’ll keep your little ones entertained for hours each day.